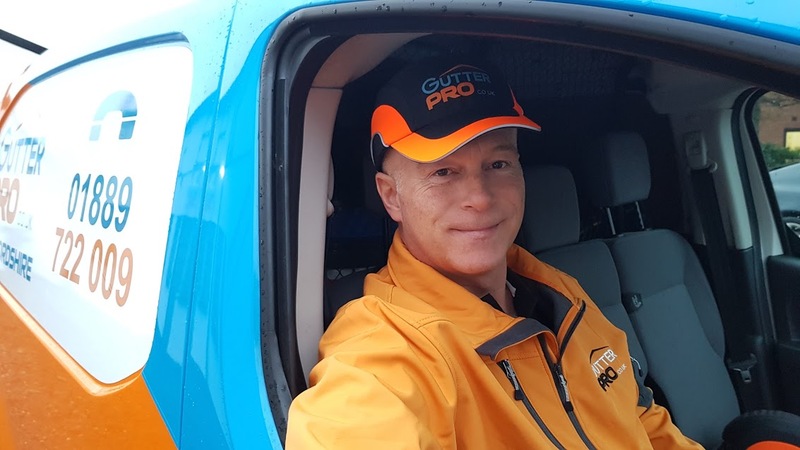 GutterPRO Clear Gutters in Solihull. Clearing gutters is all we do, and our customers say we’re great at it. We use the latest technology to clear gutters using high power vacuum suction and extending carbon fibre poles to reach over conservatories and up to four stories high all from the safety of the ground. Our wireless camera system takes pics as we go and we share with you the before and after photographs. No mess, no fuss, and no ladders. We clear gutters from the ground, using our powerful vacuum system that safely clears everything away that can cause problems in your gutters. We cover Solihull, Birmingham, Knowle, Balsall Common the surrounding areas. Enter your postcode into the form or call us on 07813 204 887 or 0121 667 6779 and we’ll book you in. You’ll get a text reminder that we’re coming to clear your gutters, and when we are on our way, you’ll get a link to track us as we drive to your home. When we arrive, we’ll introduce ourselves and carry out a safety survey and a camera survey to get the ‘before’ pictures. Ian will complete the clear, and then do a final survey to get the ‘after’ pictures. At the end of the job, you’ll see exactly what we taken from your gutters, and how clear they are. You can pay by cash, cheque or card, and your invoice will be emailed to you.